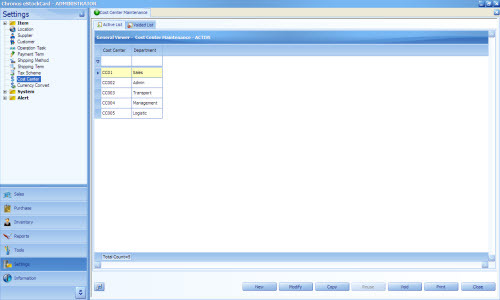 Cost Center function in the eStockCard v3 inventory software is to identify the respective department which request for an ordering of material via the Purchase Order. The cost center can be defined as Production, Store, Account , HR and etc. Its depend on the user requirement. 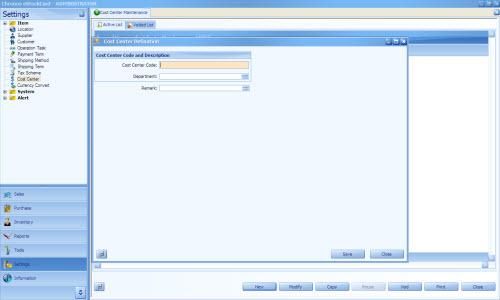 Setp 2 Enter the relevant Cost Center Code and the Description for it. The code can be either alphanumerical.